U.S. stocks slumped broadly in early trading Tuesday, sending the Dow Jones Industrial Average down more than 500 points and extending the market's recent string of losses. The latest wave of selling came as investors grew increasingly unsettled by the prospects for China's economy and the cost of President Donald Trump's aggressive trade policies. China reported on Friday that its economy grew 6.5 percent from July to September from a year earlier, the slowest pace since early 2009. The world's second-largest economy was cooling even before the outbreak of a tariff war with Washington. 3M fell 6.3 percent after its earnings missed Wall Street's targets. Caterpillar, which makes construction equipment, fell 7 percent. Main US equities crashed after the opening bell at Wall Street. American stocks joined a global selloff that has hit the stock markets in Europe and Asia on Tuesday. 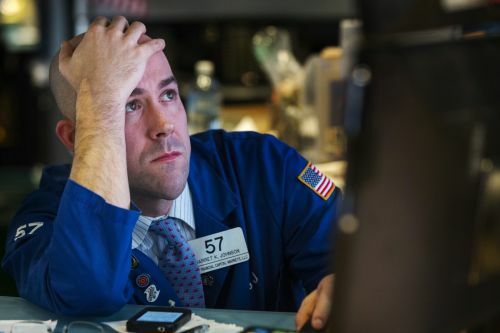 NEW YORK - Dow plunges more than 400 points; global market turmoil spreads after major declines in Europe, Asia.